Shelly says that these chocolate chip bars are magic, and nothing fits the theme of St. Patrick's Day more than magic, so I think we should all make them. Of course, the fact that they are basically a chocolate chip cookie with extra chocolate chips, toffee bits, and butterscotch chips doesn't hurt their case either. 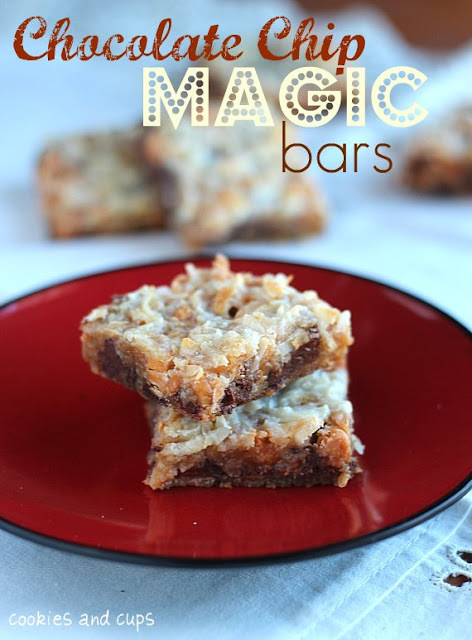 You can get the recipe for these chocolate chip magic bars over at Cookies and Cups.